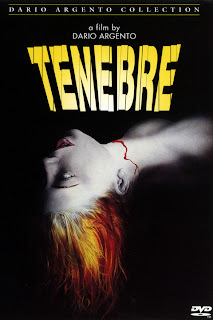 Now regarded as one of Dario Argento’s most accomplished films, Tenebrae was originally met with venomous hostility upon its release in the UK. 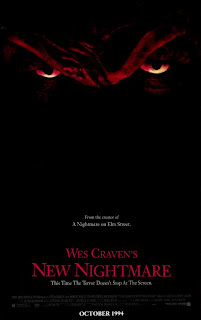 It found itself heavily edited, prosecuted, banned and relegated to the 'video nasty' list. 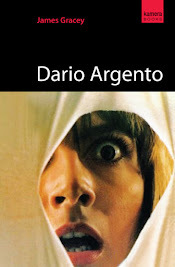 The twisted tale of an American mystery thriller novelist who becomes caught up in a slew of sadistic murders, seemingly inspired by his latest book, the film was Argento's return to the giallo after the excessive gothic horrors of Suspiria (1977) and Inferno (1980). Head over to The Quietus to read my retrospective on the film, in which I discuss its origins, its initial reception and critical mauling, and how it has been subsequently revaluated as a self-reflexive commentary on not only Argento’s own body of work and the conventions of the Italian giallo, but on the alleged effects of violent entertainment on audiences. Throughout 2012 I’ve been taking at least one photograph everyday and uploading them here. My reason for doing this, aside from it sounding like a fun and creative challenge, is to try and hone my photography skills and become a more prolific photographer. 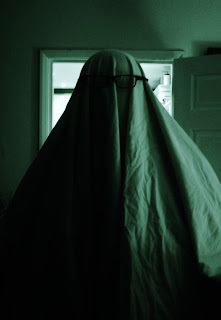 As it’s approaching All Hallow’s Eve, and because I’m a major horror geek, I decided to take themed photographs throughout the month of October. Venturing out into the chilly autumnal air, I have wandered through cemeteries by night and day, loitered around abandoned buildings and wafted through forests at sunset; all the while photographing my surroundings. At other times I’ve attempted to recreate shots from various horror films, stage spooky scenarios of my own, or just photograph some of the myriad Halloween decorations currently adorning my house. You can check out my efforts over at Camera Obscure. Here are a few to whet your appetite. Happy Halloween! This month marks the first anniversary of the Audiodrome: Music in Film series over at Paracinema.net. As such, we wanted to do something special to mark the occasion. When the idea of producing a podcast was suggested, we decided to focus on the work of a composer who has not only a long and wide-ranging career in film soundtracks, but whose work is distinctive, original and enjoyable to listen to. 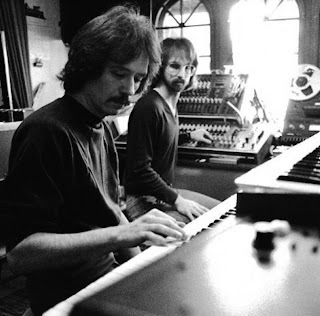 John Carpenter is not only a renowned filmmaker responsible for some of genre cinema’s most influential and entertaining titles – he is also an accomplished musician. Experimenting with analog synthesizers and digital synthesis at a time when the technology was only just beginning to be explored, his trailblazing early soundtracks highlight him as a true pioneer of electronic music. Head over to Paracinema.net to download the podcast, and treat your ears to the moody music of Mr Carpenter, as well as my very own dulcet tones. But you probably shouldn't let that put you off. When a group of high school friends begin to die while they sleep, level-headed Nancy soon discovers that she and her friends are being stalked in their dreams by the vengeful, now demonic, child killer their vigilante parents murdered years ago. Can she stay awake long enough to put a stop to his bloody killing spree and save her own skin? One, two, Freddy's coming for you. Again. With the memory of Freddy Krueger suppressed and vanquished from the youth of Springwood – rendering him powerless and incapable of claiming any more victims - the dream-dwelling killer resurrects the brutish Crystal Lake marauder Jason Voorhees and manipulates him into going to Springwood to carve up a few teens and strike fear and chaos into the community once again. I realise it’s been a while since I featured a wine of the month. That’s not to say that I haven’t been drinking any nice wines of late; I’ve probably just been too drunk to formulate a coherent recommendation. Anyhow. 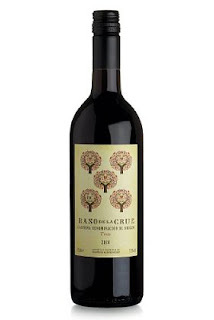 As I’ve been watching the A Nightmare on Elm Street film series this month, I thought I should stay sober long enough to recommend Raso de la Cruz, a fruity Tempranillo-Cabernet, expertly blended by Marks & Spencer (I'm not fussy, really). And at £6.99 a bottle, it’s cheap and cheerful, too. A deep-red and fragrant wine, Raso de la Cruz is packed with flavours of morello cherry, crushed black pepper and wild Mediterranean herbs. The distinctly fresh acidity is matched by fine tannins and a lightly spicy finish. In the parched climate of Cariñena, old vines have adapted to survive by digging deep into the soil to reach natural reserves of water. The resulting fruit is highly concentrated, giving vibrant wines which are intensely fruity. An unspeakably evil entity, first given form by the character of Freddy Krueger in the A Nightmare on Elm Street films, has chosen that character as its portal into the real world. All that stands in its way is Heather Langenkamp, the actress who played Nancy Thompson; the first person to ever defeat Freddy Krueger. Can she play the part of Nancy one last time to stop the evil from entering our world? Jack Zipes is a renowned author and expert on fairy tales. He has written a startling array of art­icles, essays and books on the subject, includ­ing The Broth­ers Grimm: From Enchanted Forests to the Mod­ern World and Break­ing the Magic Spell: Rad­ical The­or­ies of Folk and Fairy Tales. His latest work, The Irres­ist­ible Fairy Tale: The Cul­tural and Social His­tory of a Genre, is avail­able now courtesy of Prin­ceton Uni­ver­sity Press. 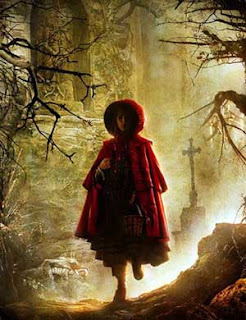 I recently had the pleas­ure of chatting with Mr Zipes about the his­tory and rel­ev­ance of fairy tales, their endur­ing appeal, and the influ­ence they have had on the likes of the super­hero and horror genres. Head over to Exquisite Terror to read the interview. To pick up a copy of Exquisite Terror II, in which I examine the relationship between fairy tales and horror films, go here. 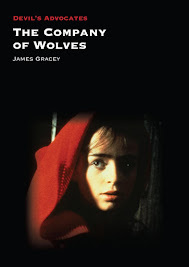 To read about the fairy tale of Little Red Riding Hood, its history and the influence it has had on cinema and literature, check out Dark Woods, Red Hoods. 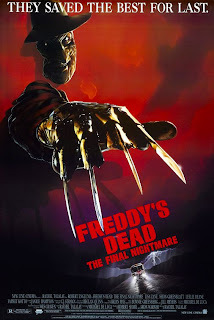 Freddy Krueger finally succeeds in killing all the children of his hometown by invading their dreams and slaughtering them while they sleep. By tracking down his estranged daughter, a tough youth councillor, he plans to escape the confines of Springwood to claim fresh victims. When she discovers who he is, and his demonic past, she vows to put a stop to his reign of terror once and for all. 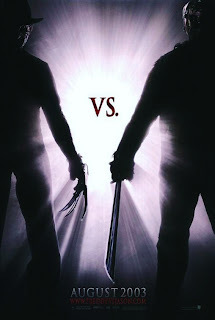 Will Krueger finally be defeated in the climactic (3D!) showdown between father and daughter?